My name is Kitty, and I am addicted to Sugar & Vice. Like that wasn't totally obvious already from my blog. Thanks to Depop, an app that is sort of like Etsy, but for reselling, Sugar & Vice have been listing some fabulous pieces. Ex-photoshoot items, one off proto-types and experiments. I've gotten a few bits and pieces from there, and this is a recent one that I am in love with. How could I not snap this up as soon as it was listed?! 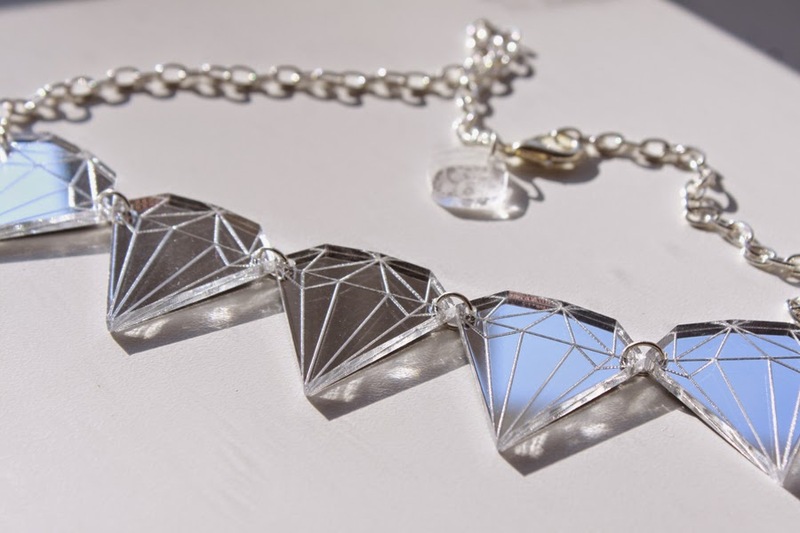 This necklace is a one-off prototype that never made it into production, but Sugar & Vice do have many amazing crystal and diamond designs in their Gemstone Collection. 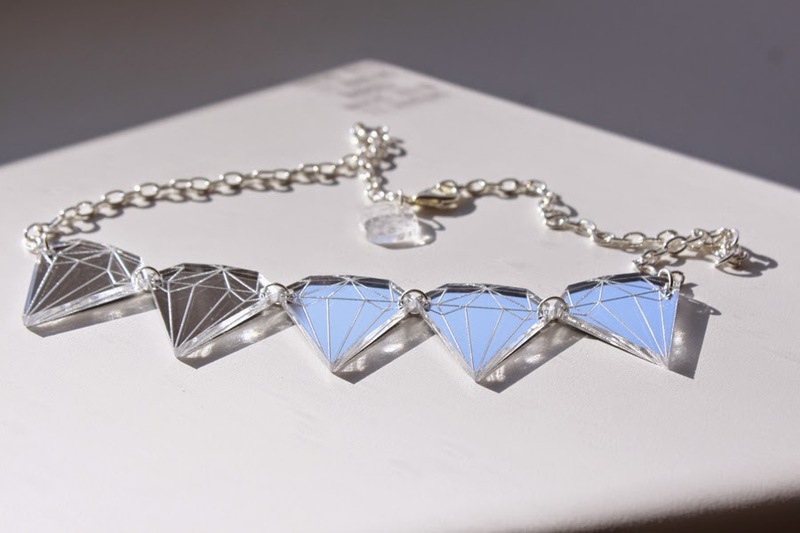 This necklace is made of gorgeous silver mirror acrylic, it shines so beautifully. 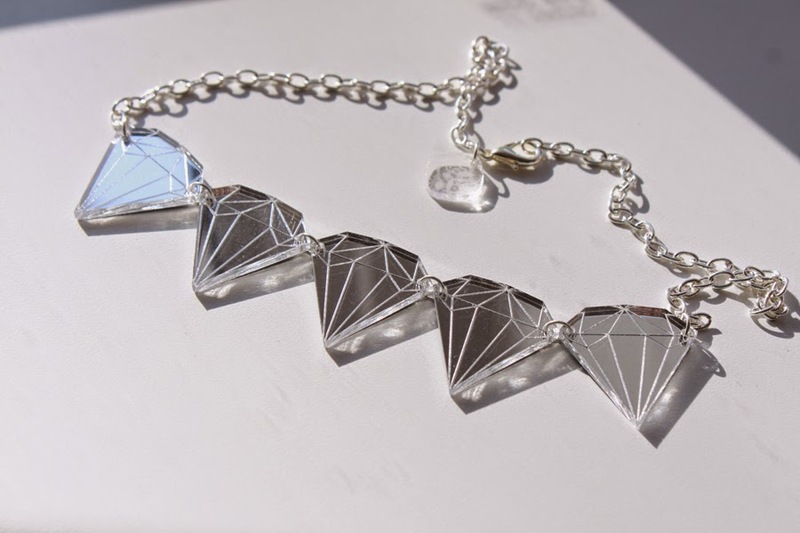 Every Sugar & Vice necklace features a little S & V tag so you know it is authentic. Seriously, how amazing is that?! I can't wait for a chance to glam up and wear it. It's so beautiful. I don't own much that is a simpler colour from Sugar & Vice, so I was very happy to get this piece. I keep all my Sugar & Vice in the plastic bags that they come in. They also come in gorgeous boxes with padding and some sweeties for extra cute, but if I kept all of those I would have a bedroom full! My aim is always to minimise scratching and keep my jewellery looking it's absolute best.